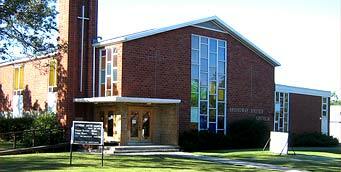 Broadway United Church is governed by an elected board of congregational members known as the Council. The Council is elected for a three year term and when the term is up an election occurs at the Annual Congregational meeting. The Council is comprised of a Chair, a Vice-Chair, Secretary, Treasurer, two members at large, the Minister (ex-officio members) and a Committee Chair from each of the following committees: Outreach, Property, Membership and Nomination, Fellowship and Fundraising, Christian Development, Finance, Worship, Memorial, Ministry and Personnel. The Council's mandate is to maintain an awareness of the Mission Statement of Broadway United Church, to facilitate the ongoing operation of Broadway United Church on behalf of the congregation and to encourage programs that foster fellowship and build a strong community within the congregation.